The Giant Dwarf Spring Sale is happily underway! 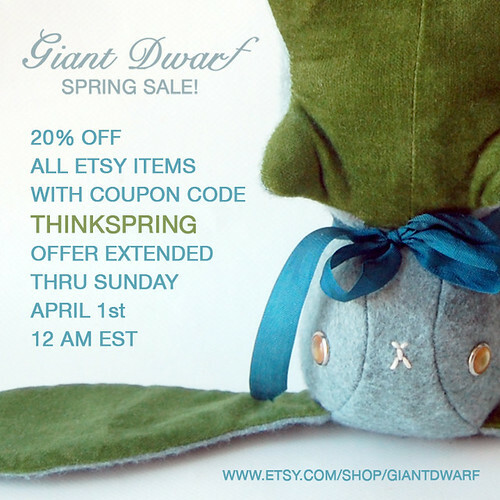 Save 20% on everything in stock at the Giant Dwarf Etsy Shop thru Sunday, April 1st. 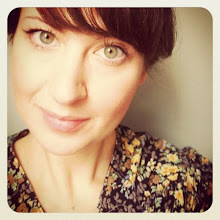 Don't forget to enter code THINKSPRING at checkout to receive the discount. This is the perfect chance to treat yourself to something fancy or stock up on gifts for your best gals! 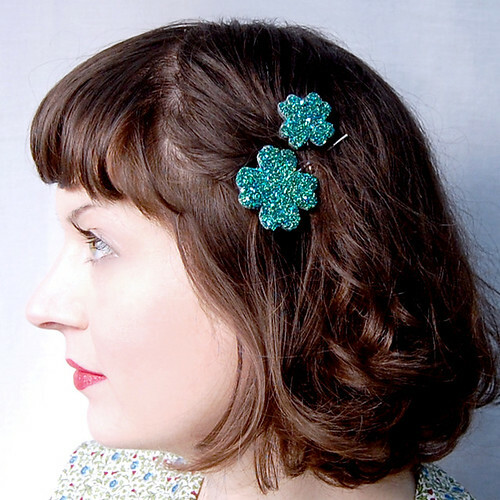 Introducing Lucky Clover Sparklers. Wear them to add just the right amount of sparkle to any outfit or give one to a friend in need of a little luck. 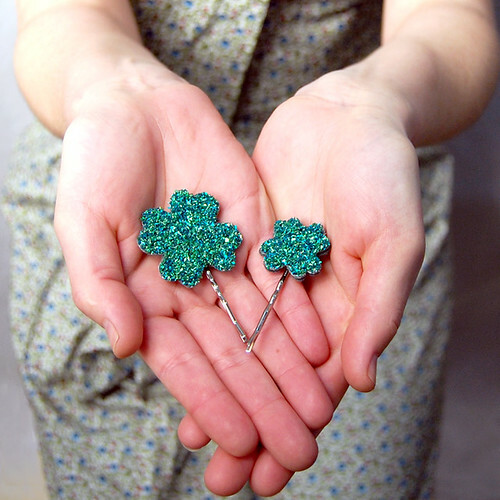 You will receive a pair of Lucky Clover Sparklers in Emerald German Glass Glitter, one of each size, affixed to silver bobby pins. 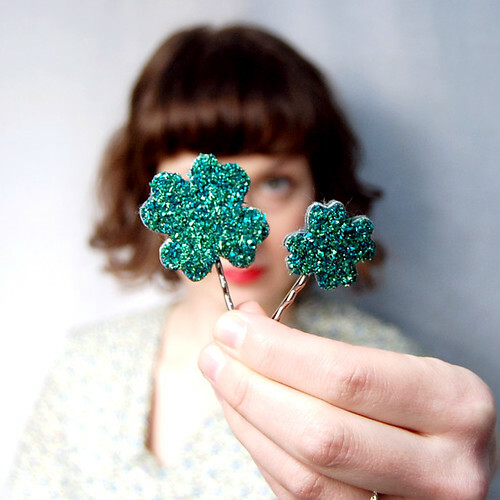 These good luck charms are unforgettable & absolutely glamorous!